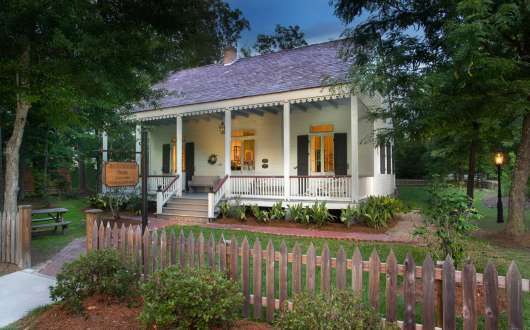 The Old Mandeville Historic Association (OMHA) presents the perfect event for Mother’s Day: the 10th Annual 2019 Mother’s Day Home Tour, on Sunday, May 12. Programs and starting point will be at the Jean Baptiste Lang House & Gift Shop, 605 Carroll Street. 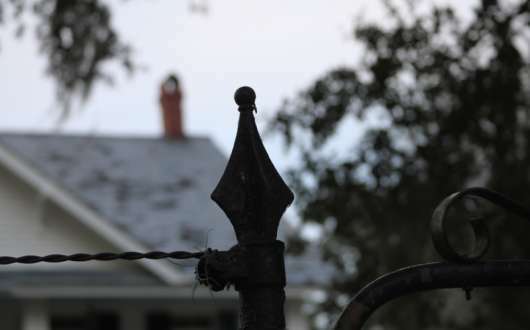 This year’s tour theme, Homes on the Chenier, centers on homes built on a ridge of high ground near the lake. A live oak chenier of ancient trees draped in Spanish moss survives on the highest point along the entire shoreline of Lake Pontchartrain. Seven private homes located on this high ground in the historic district will be open to the public for one afternoon only, Sunday, May 12, 2019, from 2 to 5 pm. Tickets are $20/person (students are $12) and are available at the Lang House Museum and Gift Shop (605 Carroll Street) and at Das Schulerhaus Gift Gallery & Christmas Boutique (611 Girod Street) as well as online on OMHA’s website, https://www.oldmandevillehistoricassociation.org/home-tour. 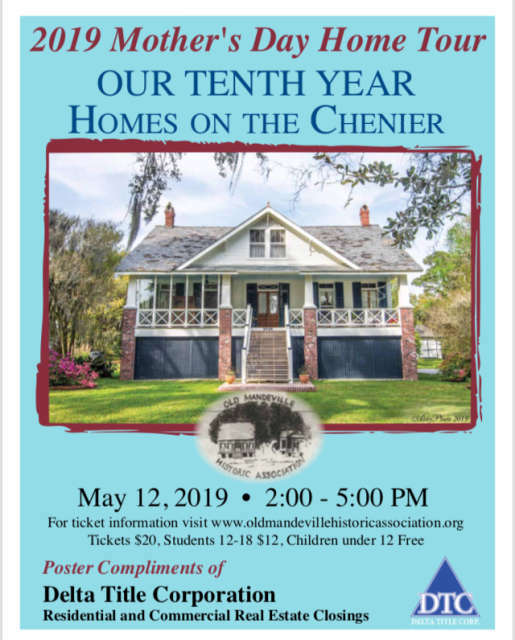 This year’s poster features a photo of a lovely Old Mandeville home taken by the talented Mandeville photographer Abby Sands of AbbyPhoto. Abby will be one of the artists exhibiting work during the home tour for those interested in seeing more of her work or commissioning a portrait of their own home. Proceeds from the sale of tickets will be used for various projects, including the ongoing rehabilitation of the Jean Baptiste Lang House Museum and the construction of a pigeonnier. Proceeds from the sale of tickets will be used for various projects, including the ongoing rehabilitation of the Jean Baptiste Lang House and the construction of a pigeonnier, an outbuilding that would have housed pigeons or doves. 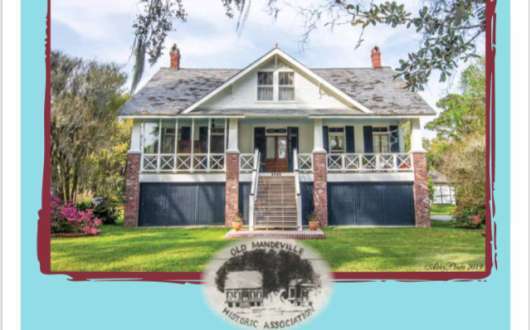 Follow updates on Facebook at https://www.facebook.com/Old-Mandeville-Historic-Association. 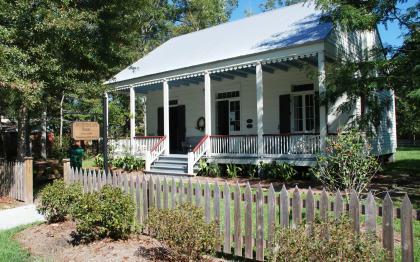 The tour is sponsored by the Old Mandeville Historic Association (OMHA), a nonprofit corporation (501c3) founded to preserve and promote the history and cultural heritage of Old Mandeville for future generations. 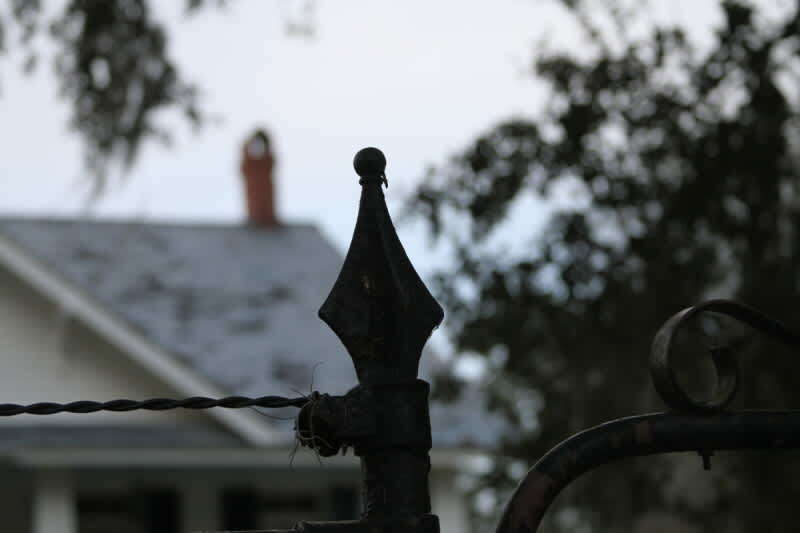 The tour celebrates the cultural and architectural heritage of Mandeville and encourages historic preservation. 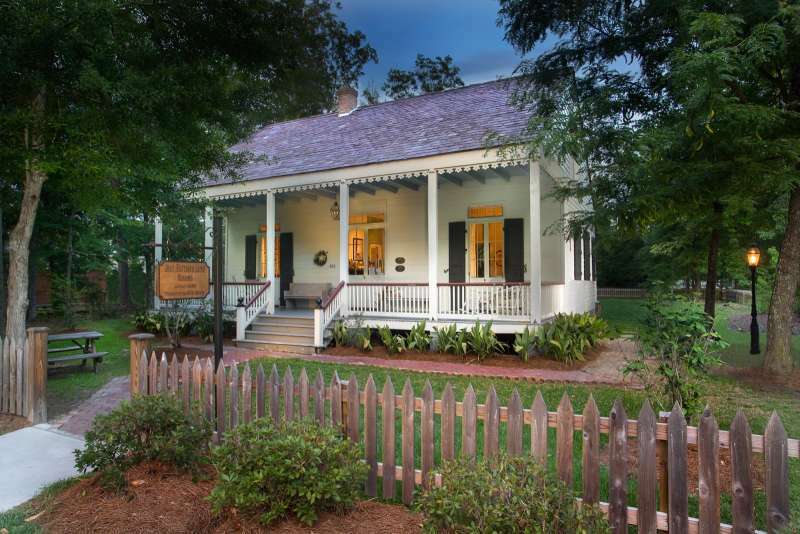 For a tour of the Lang House Museum, stop by the historic house museum at 605 Carroll Street Wednesday through Friday, 10am to 4pm, and Saturdays 10am to 1pm.